If you can suppress the skeptic in you, then this inspirational documentary (which is based off of a pretty popular book) could truly transform your life. It claims to heal illnesses, create millionaires, and find soul mates for anyone that can truly unlock the power. I am 100% a believer….pretty much because I have nothing to lose by believing and also because they are pretty clear that if you don’t believe, you will never achieve. Regardless of whether it is totally true, it is definitely inspirational. My husband and I have tried watching 10 minutes of this before bed or when we wake up just to get us motivated and feeling good. That alone makes it awesome. When you should watch this: When you feel like you don’t have enough money or have no direction. I don’t even know where to begin with this documentary, other than to say you have to see it for yourself. It is definitely inspiring, but more importantly it’s extremely thought-provoking and will have you questioning everything. Basically, it sets out to prove to you that the whole world is interconnected and that to truly be healthy and happy, everything needs to be healthy and happy. There’s a lot of science backing their claims, which only adds to the wonder. When you should watch this: When you’re looking for some mental stimulation. Tiny introduces you to the world of tiny homes – those that are smaller than 500 sq. ft. – and the people that live in them. What is really cool about this documentary is that these homes are actually really nice and beautiful – they’re just really tiny. What you will definitely take from this movie is that you do not need half of the stuff that you have. In my house, every viewing of this documentary ends with at least one bag for Goodwill. When you should watch this: When clutter is taking over. Holy moly, get ready to think twice about what you’re eating. This documentary is packed full of scary facts about the food industry, the quality of our food, and the treatment of farmers. There is definitely some unsettling information in this documentary, but overall it is more informative than anything. While disturbing, the message is still very inspiring – you have the power to change things each and every time you make a purchase decision in the grocery store. It is the power of your vote. 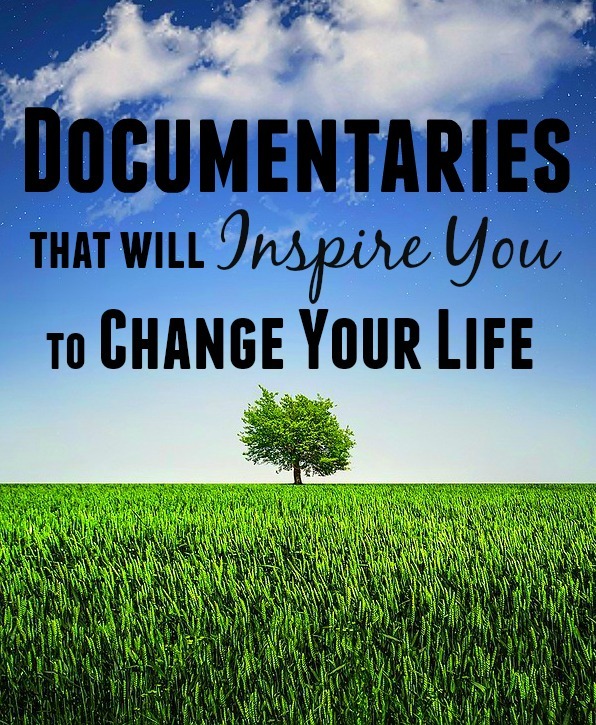 This is definitely one of the best inspirational documentaries that will change your life forever. When you should watch this: When you feel unhealthy. Becoming Warren Buffet is the dark horse of inspirational documentaries. Before I had even finished watching this, I had grabbed a pen and paper and was jotting down ideas, to do lists, and a slew of other things that this documentary inspired me to think of. It’s clear in the title what this motivational documentary is about – a story of the life and achievements of Warren Buffet. What you probably don’t realize, however, is just how amazing this man is. He is truly proof that anything is possible. When you should watch this: When you’re ready to make your dreams come true. 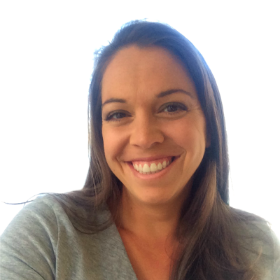 Hungry for Change focuses on the lack of nutrients and overabundance of sugar in our diets. It’s unbelievably eye-opening and really drives home just how unhealthy most of us are. It will make you realize how often we are fooled by food companies into believing we’re eating something that’s healthier than it actually is. This is another one that is packed full of scary facts that will make you think and inspire you to be healthier. When you should watch this: When you need to jump start a diet. If you get a chance to watch any of these, come back and let me know how it was! And certainly let me know which one’s I’m missing. I’m hooked! The drop box is a great documentary as well. Awesome!!! I LOVE recommendations for new documentaries to watch! I will definitely add both of them to my list. Thank you!! I watched The Secret years ago. It is inspiring and yet easy to question at the same time;0) I have heard a lot about Food, Inc. and want to watch it. If only I could get the teenagers to watch it too;0) Great list of things to watch! Food Inc made me return to being vegetarian. Changed my life. I’ve seen 3 of them!! And they are 3 of my favorites. I’ll have to watch the other 2 soon. Excited. I love me a good documentary. thats great! I’m sure you’ll enjoy them 🙂 these are all AWESOME! I have another list of documentaries that will “scare you skinny” if you’re looking for more 😉 Those are intense! Great pics! I love one called Sommelier that is realllly cool. it’s on netflix! I’ll add these on my must watch list! My husband and I are really into documentaries as well. We’ve seen Hungry for Change, but not any of the others. We’ll definitely check them out though! Lol, that’s so funny – I do the same thing! It’s so weird that we’re drawn to crime shows, lol. I will definitely be adding these to my queue on Netflix! Thanks for the recommendations. Oh I have only heard of the secrect. I have nly saved them to check them all out. Thank you so much! I’ve read some of them but made notes for the other ones. Thanks for sharing! Oh, I have only seen one of these, but need to see the rest. Thank you! I haven’t seen any of these movies but I am very interested in them. Thanks for sharing. Have you seen What the bleep do we know? It is also very thought provoking. I’ve seen Food Inc. Tiny and Hungry for Change looks really interesting too. Thanks for the great ideas! you’re welcome! I hope you have time to check them out!